Real estate investing involves a lot of moving parts: you need to learn how to estimate rehab costs, find and manage good contractors, secure financing, understand your market to accurately determine your resale value … and more. It’s a lot of expertise in a host of categories, and there’s one more that can really help. At some point, every investor asks themselves whether they should get licensed, and the answer varies according to your business and its needs. 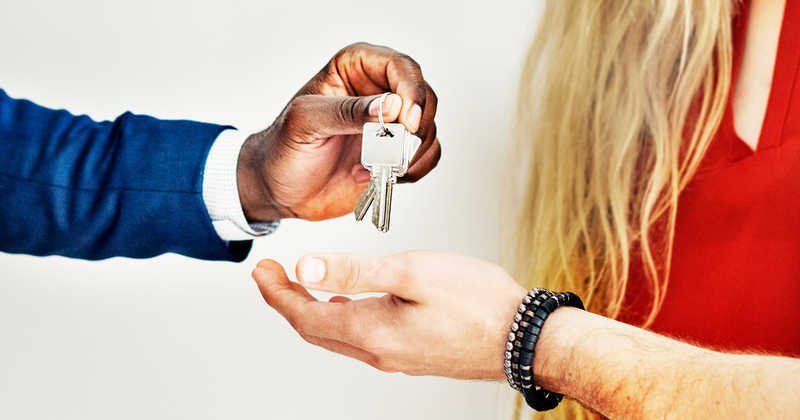 As a licensed real estate agent, you have the option to collect a commission on each sale; you can earn it as the buyer’s agent and save it as the listing agent. In other words, you can earn commission when you purchase a property (acting as a buyer’s agent), and then save yourself some dough when you sell it (acting as the listing agent). This can result in a savings of thousands. Commissions are not a fixed number and are optional, but they regularly hover around 3 percent for each side. So if you purchase a property for $100,000, for example, you can earn a $3,000 commission — making your net purchase $97,000. If you sold that same property for $150,000, there’s another $4,500 saved (again assuming 3 percent commission as the listing agent) … for a total of $7,500 in your pocket. You can either collect the commission when you sell or simply take no commission; ask your accountant what the best route is for you. There’s another angle at play, too. When purchasing, some investors will forego the commission and offer to let the listing agent collect it all, naming them as both listing and selling agent, or, if possible, simply adjusting the amount of commission on the offer. Although an agent can’t legally be swayed by commission — they need to act only in the best interest of their client — a move like that can nevertheless be a good way to position yourself as someone they’d like to work with, whether now or in the future. And anything you can do to improve your network is always beneficial. When you’re a licensed agent, you can show yourself a property, then draw up and submit your own offers — and that alone can be a game-changer. Imagine spotting a potential rehab and not having to wait to coordinate with an agent to view it. You head out to see the property as quickly as possible, and then make an offer in the time it takes you to fill out a form and email it over. In hot markets or with hot properties, every hour counts. Many an investor has snagged a great deal simply because their offer got into the seller’s hands the fastest. Speaking of contracts, it’s useful to understand the legalities involved in buying and selling real estate. Not only will you have the ability to submit contracts, but you stand a far greater chance of staying out of trouble, too. State and federal laws dictate the type of language you can use when advertising and negotiating, and you learn the details of this when you get your license. Real estate law is also part of the requirement for renewing (and keeping) that license. Licensed agents also must pass ethics exams, and Realtors in particular have stringent requirements for such. A licensed Realtor — capital “R” — belongs to the National Association of Realtors and adheres to the association’s Code of Ethics. As a real estate investor who’s also a licensed agent, you can claim expertise in multiples areas, and you get to know people within the industry. Many investors report that they have access to more off-market deals because of their license. Potential sellers approach them specifically because they are investors and can provide multiple options: the offer they can receive if they want a quick sale, as well as information about listing the property. This works particularly well with multi-units, rentals, and other commercial properties, where owners are typically more experienced and have a clear idea what they want from a sale. This relates back to speed. With access to the MLS and other technology, you can put together a comparative market analysis much quicker — no waiting for your agent to put a report together — and, usually, in much greater detail. Sure, the information is publicly available, but licensed agents typically have access to technology that allows them to do the job more efficiently. Having said all of this, it’s important to note a few “drawbacks” as well. Getting and maintaining a license can be a pricey endeavor, running you around $1,200-$1,500 a year. That includes a subscription to the MLS, the cost of continuing education courses, and dues and licensing fees. So you want to make sure that’s worth it. If your business centers on direct marketing to distressed sellers, you may not need a license, either. In these instances, you are searching for off-market properties and speaking directly to sellers, not looking at listed properties. Also, as an agent, you need to be more cautious than the average investor about what you tell a prospect their home is worth. And finally, you do assume a bit more liability as an agent because you’re held to a different standard. You must also disclose your status as a licensed salesperson. In the end, you’re the one to determine whether a real estate license will best serve your business and its needs. Many an investor has enjoyed long, lucrative careers without ever becoming licensed, while many others swear by the advantages of holding one.